VSR is pleased to announce the release of the tutorial "RHINO + VSR: ONE STEP FURTHER TO CLASS A (MODELING A BEACH BUGGY)". Discover methods and possibilities to design and analyze Class A surfaces in a few steps. 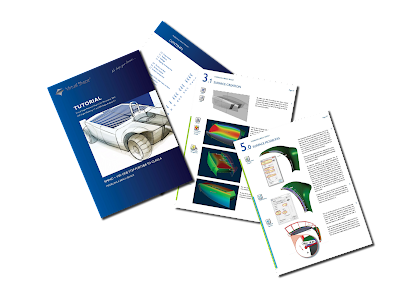 Optimize your design and engineering processes concerning quality and quantity with the products of Virtual Shape Research. We would like to provide our tutorial "RHINO + VSR: ONE STEP FURTHER TO CLASS A" as an access to Class A surface modeling. At the end you will have a good understanding for the capabilities and power of VSR-Shape Modeling 1.1 and VSR-Shape Analysis 2.1. From background sketches you will see how to design the basic body of a beach buggy in a very comfortable way. Also, we allocate Rhino 3DM files for all the intermediate steps which will let you skip certain parts or to go directly into the area relevant for you. Download it for free (registration is needed) at http://www.virtualshape.com/en/download. Available in English and German!